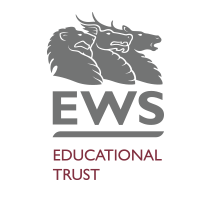 Please complete this registration form if you wish to submit an application to the EWS Educational Trust. The details given on this registration are automatically uploaded to the application form; they must be the applicant’s details. The applicant is the person who is undertaking the educational course, involved in a sporting or artistic activity, or who is applying for special access funding. If the applicant is a child aged under 16 or someone who cannot complete the application themselves then a parent or guardian can complete this registration on their behalf. Please use the applicant’s name and date of birth on this registration.